The past decade has witnessed the emergence of a new vanguard in African American political leaders. They came of age after Jim Crow segregation and the Civil Rights Movement, they were raised in integrated neighborhoods and educated in majority white institutions, and they are more likely to embrace deracialized campaign and governance strategies. Members of this new cohort, such as Cory Booker, Artur Davis, and Barack Obama, have often publicly clashed with their elders, either in campaigns or over points of policy. And because this generation did not experience codified racism, critics question whether these leaders will even serve the interests of African Americans once in office. 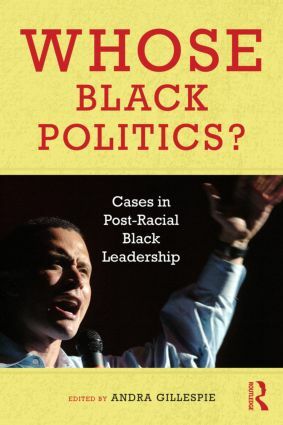 With these pressing concerns in mind, this volume uses multiple case studies to probe the implications of the emergence of these new leaders for the future of African American politics. Editor Andra Gillespie establishes a new theoretical framework based on the interaction of three factors: black leaders’ crossover appeal, their political ambition, and connections to the black establishment. She sheds new light on the changing dynamics not only of Black politics but of the current American political scene. Young, Gifted, Black, and Female: Why Aren’t Th ere More Yvette Clarkes in Congress?